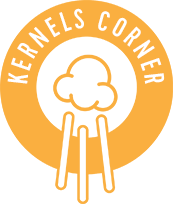 By Kernels Popcorn | Apr, 2016 | Tagged " Kernels Corner "
What is interesting to me is that they have established 10 core values that ignite the passion that drives their business. Have you WOW’ed at least one customer today? Another great value at Zappos is being humble. It is an overarching principle at Zappos and one that I believe in too. Being humble, along with delivering WOW results, helps to build and maintain a positive culture. Being humble also means being compassionate and respectful. Compassion and respect for others includes our own customers, co-workers, management and staff, as well as our partners and vendors. But compassion and respect also extends to the community at large and it should govern how we treat others and how we also want to be treated ourselves. There are a number of exciting initiatives that are helping to create awareness around Autism, which Kernels is participating in, and I would encourage you to get involved. Elena and I have set up a Kernels team called the Kernels Pop-walkers, for the Toronto walk. Anyone interested in being a part of this walk should join our team. If you are unable to walk, please consider pledging one of your Kernel’s co-workers. The Toronto Walk is being held on Sunday June 5, 2016 at Nathan Phillips Square. Registration opens at 8:30am, Opening Ceremonies commence at 10:30am, and the Walk begins at 10:45am. "My sister and I stopped by your Kernels location at Carrefour Laval today, March 28, 2016 at 12:15 p.m. where we were served exceptionally well! The gentleman that served us was very kind and friendly, he invited us to try a few samples and informed us of your daily specials. He even took the time to tell us about the special products you sell to schools, for weddings and other events. Thanks to him we also learned that your products are gluten free, allergen free and peanut free. We hope that this remarkable employee receives the gratitude he deserves. Kernels is very lucky to have an employee like him. I give him a 100/100! Kevin confirmed…It was my Dad Maxime. “I should've taken a picture of his face when I showed him your email hah”. “Good morning, I just wanted to take this opportunity to bring your attention to one of your great customer service representatives. Fatima at your Dufferin Mall location is always pleasant when she is serving her customers. Her personality is exuberant and she is a great ambassador for your business. I didn't want to miss another occasion to let you know what a great job she does every time I buy your product at that location. “I wanted to let you know that we had a wonderful experience yesterday at Kernels at the Eaton Centre location with Jeff Degan. A colleague and I went there to get some popcorn for the office to celebrate International Women's Day and he was just a pleasure to deal with. Just thought I would pass along the great experience. “My name is Melinda. I live in Barrie. I've been a repeat customer for almost 3 years. Specifically, I thought you should know that the staff here in Barrie are excellent, bar none. Keeping up with the demand of orders, it is not easy to keep a cheery smile and a good demeanour. I can tell that with me, they have been consistently cordial and very pleasant to me all this time. They make me feel like a valued customer. I thought you should be aware of the good work they do.